Whether your little one is on a roll (literally) or busting out of his swaddle before you can complete the perfect baby burrito, it’s probably time to move onto a sleep sack. Don’t worry… he’ll still feel secure and get a solid night’s sleep with the right wearable blanket. 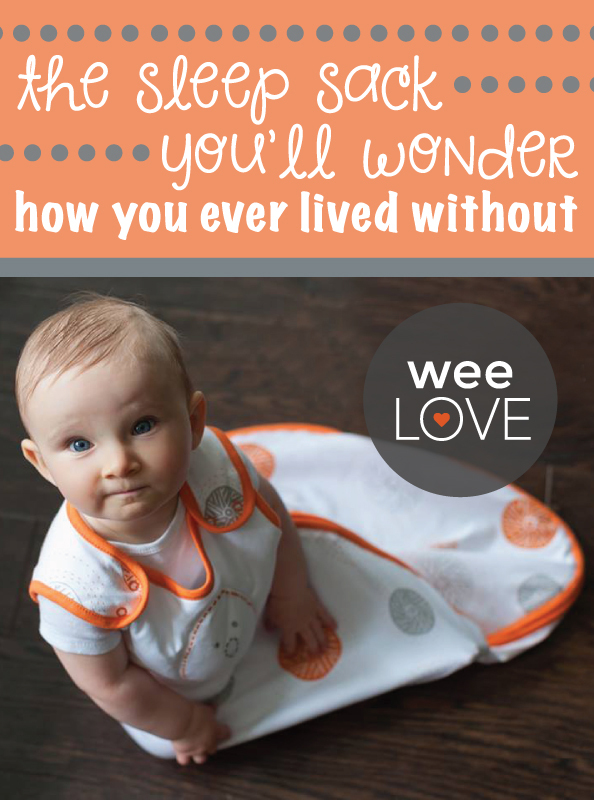 A few other noteworthy perks: adjustable shoulder straps for a perfect fit, easy access for diaper duty thanks to the side opening with two-way zipper, cozy 100% cotton material, and two sizes to grow with your baby up to a year old. This weeLove was sponsored by Vtech.